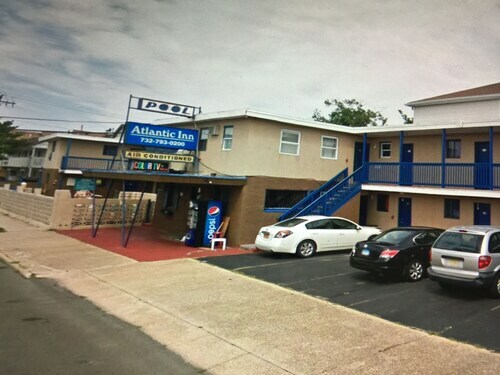 Located in the heart of Seaside Heights, this motel is within a 15-minute walk of Breakwater Beach, Seaside Heights Sky Ride, and Casino Pier. 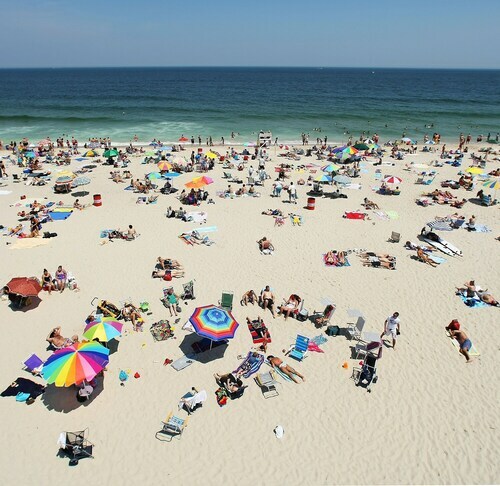 Ortley Beach and Seaside Heights Beach are also within 15 minutes. Situated in Point Pleasant Beach, this historic property is 1.2 mi (2 km) from Bay Head Beach and 1.3 mi (2.1 km) from Jenkinson's Boardwalk. Vintage Automobile Museum of New Jersey and Jenkinson’s Aquarium are also within 2 mi (3 km). 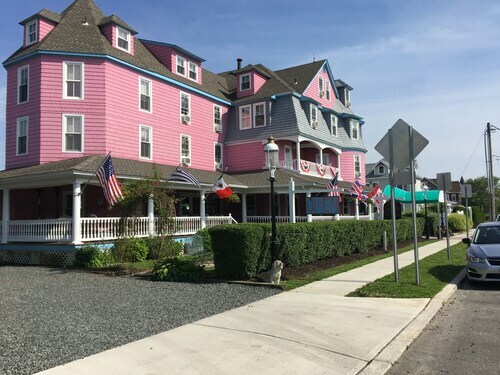 Located in Avon, this hotel is 0.1 mi (0.1 km) from Bay Head Beach and 1.5 mi (2.3 km) from Jenkinson's Boardwalk. Howe St. Jetty and Anchor and Palette Art Gallery are also within 10 minutes. 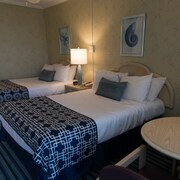 Nestled on the beach, this Seaside Heights hotel is within a 10-minute walk of Breakwater Beach and Casino Pier. Seaside Heights Beach and Coin Castle are also within 15 minutes. 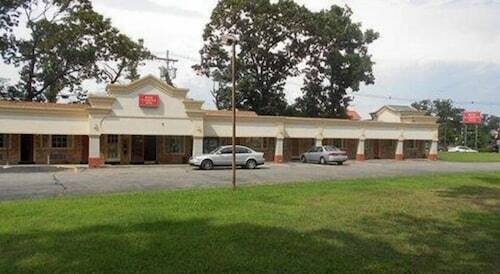 Situated in Toms River, this hotel is within a 10-minute walk of Knuckleheads Comedy Club and Playdrome Lanes. Ocean County Historical Museum and Ocean County Library are also within 1 mi (2 km). 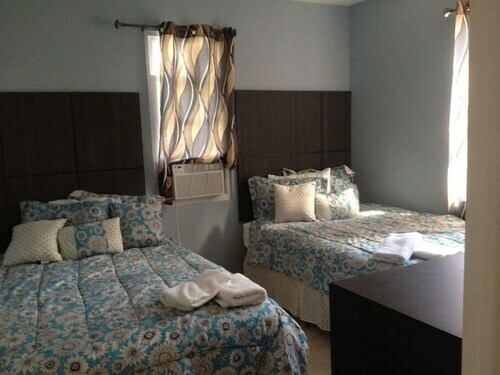 Situated near the beach, this motel is within a 15-minute walk of Breakwater Beach and Seaside Heights Beach. Ortley Beach is 0.8 mi (1.3 km) away. 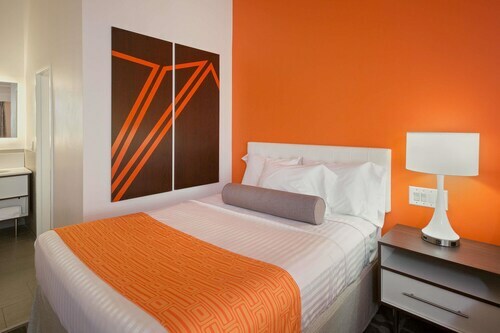 Situated near the beach, this hotel is within a 10-minute walk of Breakwater Beach and Seaside Heights Beach. Ortley Beach is 0.9 mi (1.5 km) away. 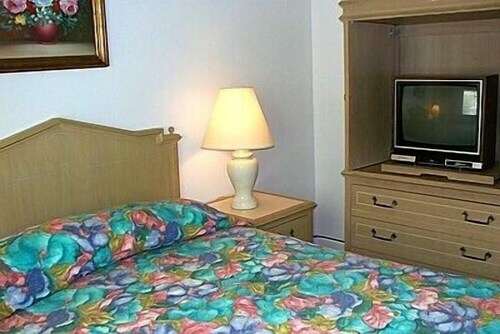 Situated near the beach, this motel is within a 15-minute walk of Jenkinson’s Aquarium and Jenkinson's Boardwalk. Bay Head Beach and Howe St. Jetty are also within 3 mi (5 km). 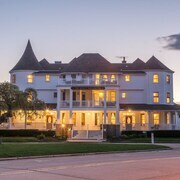 Situated in the suburbs, this hotel is 2.9 mi (4.7 km) from JB MDL Lakehurst Naval Base and within 9 mi (15 km) of Huddy Park and River Lady Cruise. Ocean County Mall and Eagle Ridge Golf Club are also within 9 mi (15 km). Located in the heart of Seaside Heights, this hotel is within a 15-minute walk of Breakwater Beach, Seaside Heights Beach, and Ortley Beach. Casino Pier and Seaside Heights Sky Ride are also within 10 minutes. Situated in Wall Township, this motel is 1.9 mi (3 km) from St. Catharine Church and 2.7 mi (4.3 km) from Belmar Beach and Boardwalk. Washington Ave. Beach and Bel-Aire Golf Course are also within 3 mi (5 km). Situated near the beach, this apartment building is within a 10-minute walk of Breakwater Beach and Seaside Heights Beach. Ortley Beach is 1.1 mi (1.8 km) away. Pet lovers shouldn't miss the chance to visit Point Pleasant - Toms River, a family-friendly city known for its beaches and bars, as well as attractions like Ocean County Historical Museum and Ocean County Library. You can choose from Travelocity's 24 pet-friendly hotels and accommodations in Point Pleasant - Toms River and bring your doggy along! Enjoy the fresh air at Huddy Park, Shelter Cove Park, and Island Beach State Park Entrance. Other things to see include River Lady Cruise, Jump Street Skate Park, and Playdrome Lanes. Need a pet store? Try Wild Birds Unlimited, Water Garden & Koi Co, or Pet Valu. For vet care, East Coast New Jersey Spay, Toms River Animal Hospital, and Fischer Veterinary Hospital are located in the area. Dogs are allowed for a fee at this 3-star hotel, although restrictions apply. 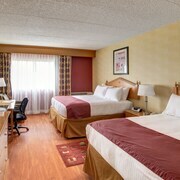 Guests appreciate its great beach location and clean rooms. Pets are allowed for a fee at this 2.5-star hotel, although restrictions apply. 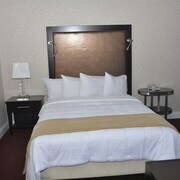 Guests appreciate its location and comfortable rooms. Weather can make or break your trip, especially if you want to spend time outdoors. Here are the average daytime and nighttime temperatures to help better plan your time in Point Pleasant - Toms River. From January to March, average temperatures range from 55°F in the daytime to 22°F at night. Between April and June, the daytime average is 84°F and the nighttime average is 35°F. From July to September, average temperatures range from 85°F in the daytime to 49°F at night. Between October and December, the daytime average is 72°F and the nighttime average is 23°F. Clean and comfortable room. We told Mickey about a painting that fell and that the frame had broken, so we were worried that we where going to get charged for it and she don’t worry about it. We will definitely be going back there every year. The hotel is great and in a good location, close to everything. Staff is very nice and price is reasonable. This time we stayed in room 114 and for some reason the pillows were shot and so was the matress. I would stay here again but hope it would be more comfortable. I have to say in the past it was comfortable. The room should be checked. The hotel is older and needs redecorating (carpeting, furniture), but the room & bathroom seemed clean, the bed was comfortable, sheets were smooth and clean, towels were not too thin, shower pressure was good, and there was a fridge and microwave. I did not try the breakfast which was included because I had a brunch to attend. The hotel is two stories with a staircase. I don't know if there is an elevator but I did not need it. Some of the most relaxing nights' sleeps I have ever experienced in a home-away-from-home adventure. The staff, Harry, Maureen, and all others were very friendly, accommodating of our needs and made us feel right at home. Rooms were very comfortable with a B & B atmosphere. We extended our stay twice so as to continue the experience.